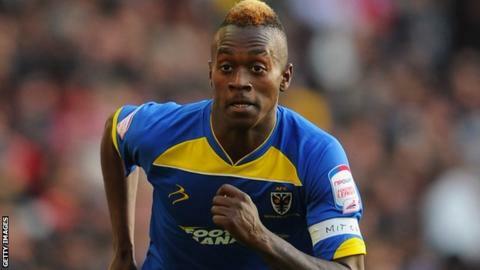 Inverness Caledonian Thistle have taken former Torquay United winger Toby Ajala on trial. Manager John Hughes is keen to add to his strike-force after conceding that his side are struggling to make an impact in the final third of the park. "Other clubs were trying to get him on trial so we're delighted to get him here," Hughes told BBC Scotland. "He watched the game last night and trained very well this morning so hopefully that might be the one." Hughes hopes Englishman Ajala, who scored five goals in 45 appearances for Torquay during the 2014-15 campaign, can inject some pace and technical ability to their forward line. Inverness travel to face Celtic on Saturday, with Hughes adamant he won't use the controversial comments from Celtic assistant manager John Collins as motivation for his players. Hughes believes it's Ronny Deila's team that might use the criticism they've faced as a result of those comments as motivation to prove they were right. "Now that one or two in Scottish football's had a go at them, they will be using that as a siege mentality," he added. "They will be wanting to prove everybody wrong that what John Collins says is right. It's up to the rest of Scottish football to keep at them and get after them - they are the benchmark.